Are you working on teaching your kids about WH question words? 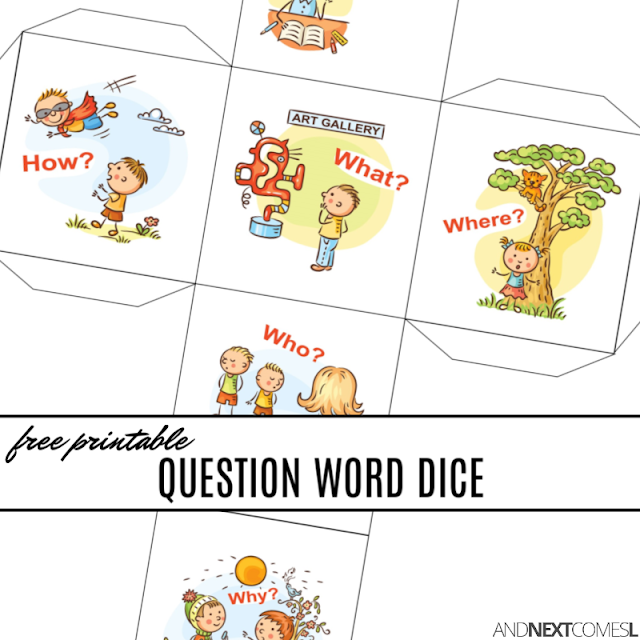 This free printable question word die is a fun tool to help practice the different WH question words. We're always working on WH questions because, like most hyperlexic children, my son finds WH questions confusing and difficult to answer. So we have to practice them. A lot. 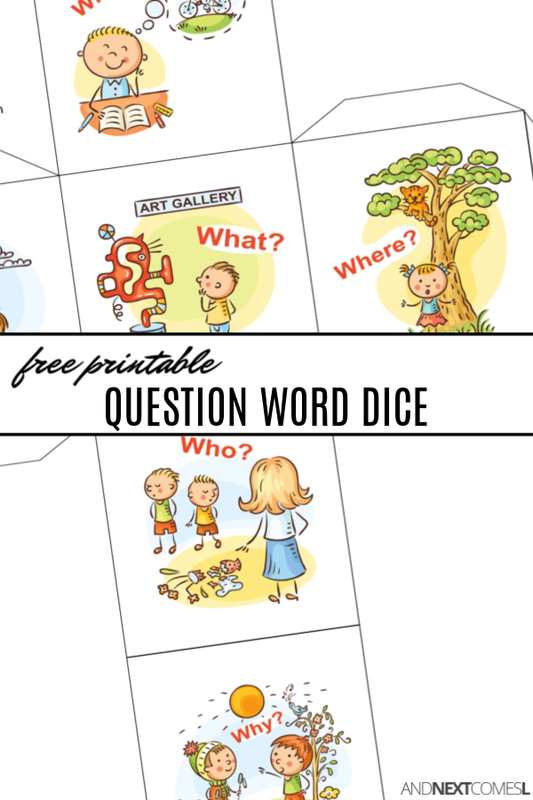 This free printable WH question word die is a versatile tool to help you practice six different WH question words. I've left it more open ended so that you can be creative and come up with your own ideas for how to use it. This WH question word die covers the following WH questions: when, what, where, how, why, and who. Simply print, cut, and fold your die. Or come up with some other fun idea! The possibilities are endless.